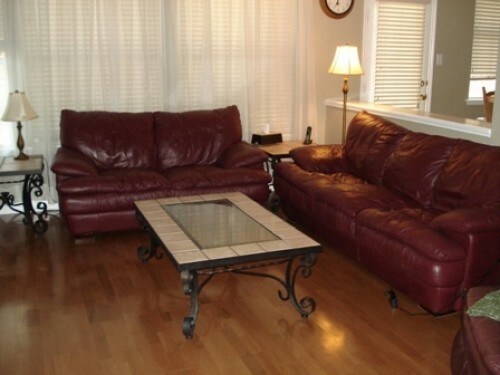 Nice maroon leather living room set includes the sofa, loveseat, two end tables and coffee table. 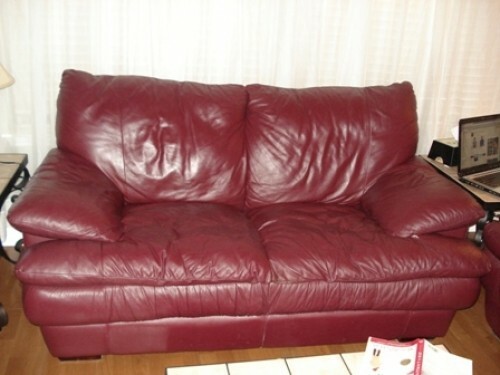 The sofa's middle cushion has a little wear and the love seat has a seam coming loose but it's only about an inch in length. Anyone with a needle can sew it back easily. 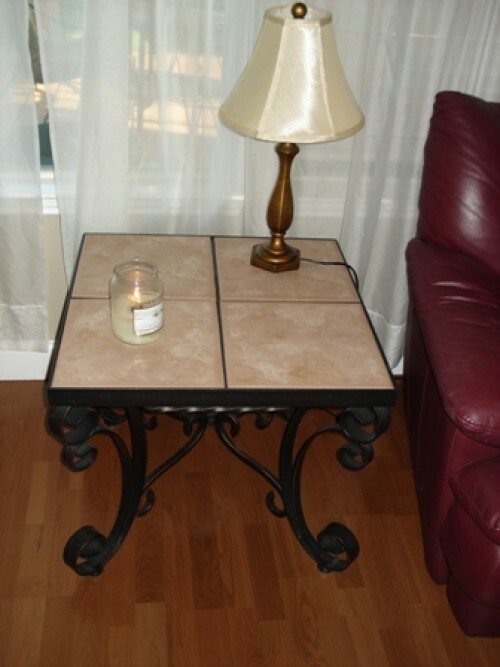 Tables are made of solid iron and topped with tiles. 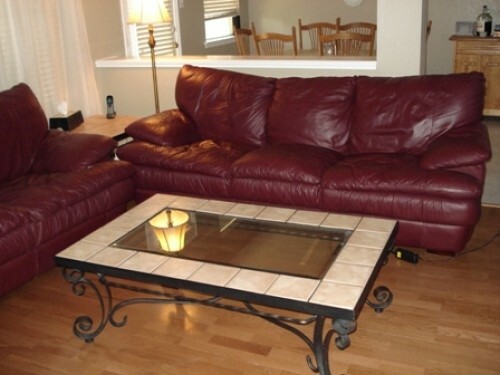 The coffee table has a large piece of glass surrounded by smaller tiles. Great set for the price.